Lodge tote bags include a padded bottom, heavy-duty self-sealing zipper, polypropylene straps sewn together with heavy-duty thread. Durable bags fit standard and deep ovens. 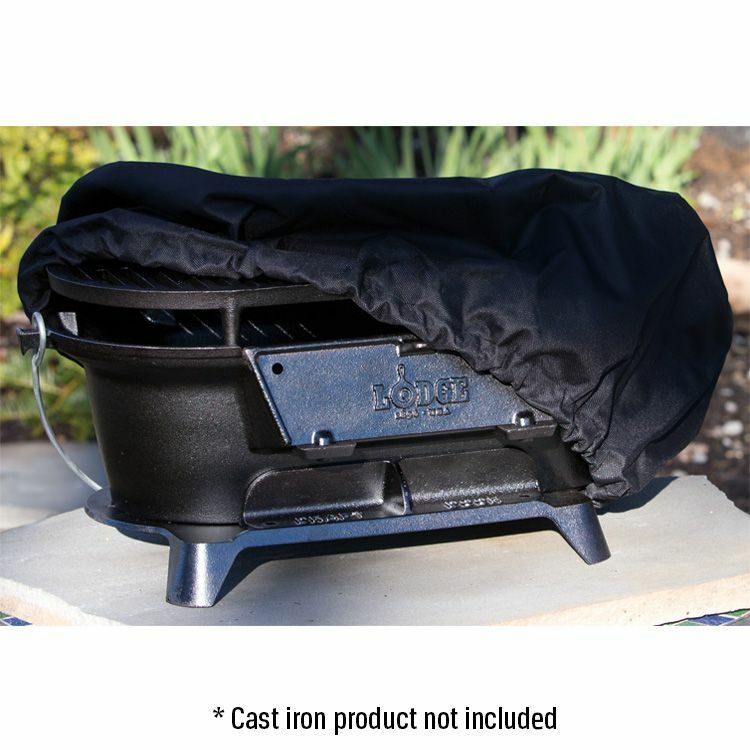 Protect your Apollo<sup></sup> 300 charcoal grill and water smoker with this high quality grill cover. This cover is made from heavy duty PVC polyester. The material is UV protected to prevent colour fading and features a 3-inch ventilation strip to reduce moisture buildup under the cover. This cover features a large embroidered Napoleon logo to show your Napoleon pride and two metal hanging loops for storage when the grill is in use. A1-410 Sportsman's Grill Cover Lodge tote bags include a padded bottom, heavy-duty self-sealing zipper, polypropylene straps sewn together with heavy-duty thread. Durable bags fit standard and deep ovens.